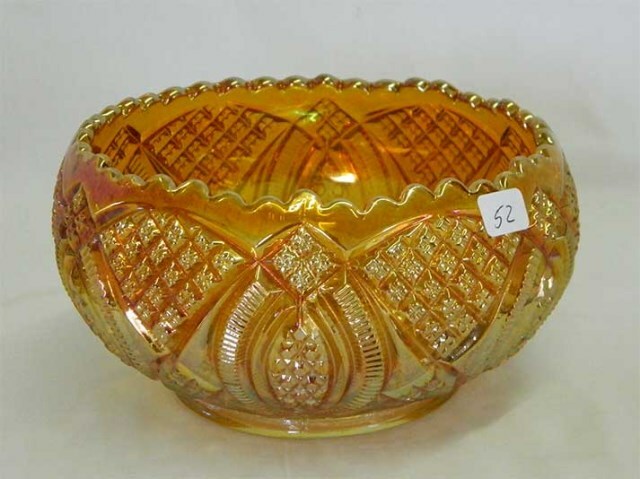 Imperial's Diamond Ring is named for the ring shape with the diamond on top seen in the center of the rosebowl, above left. 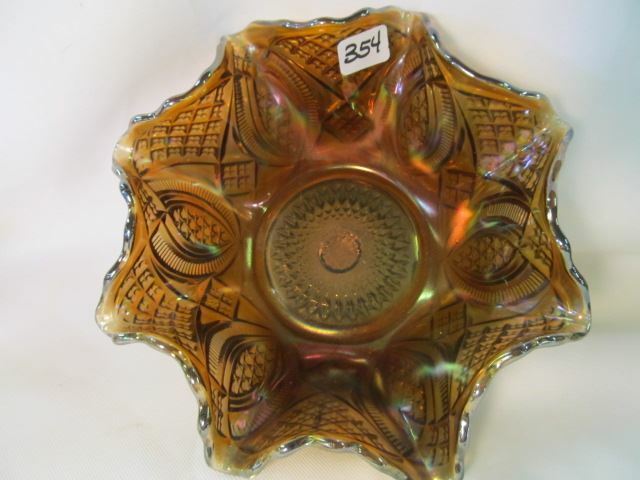 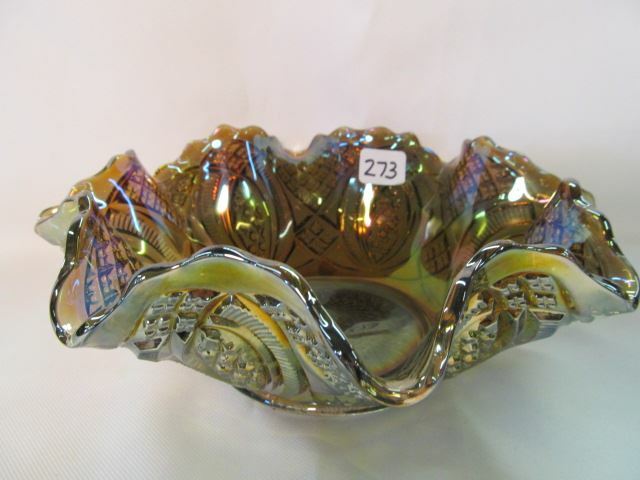 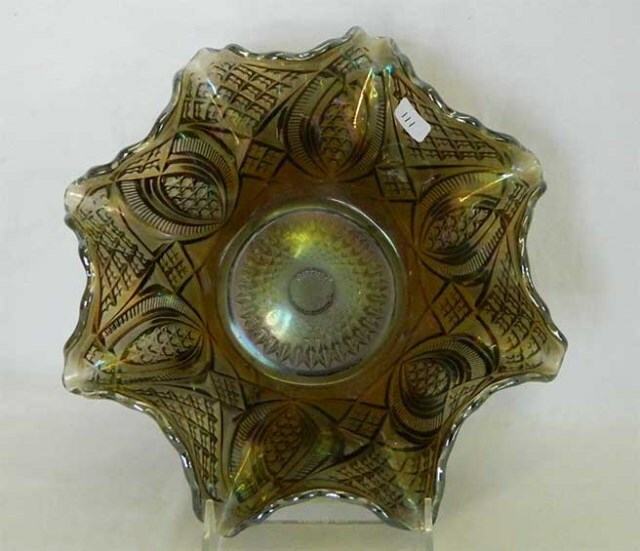 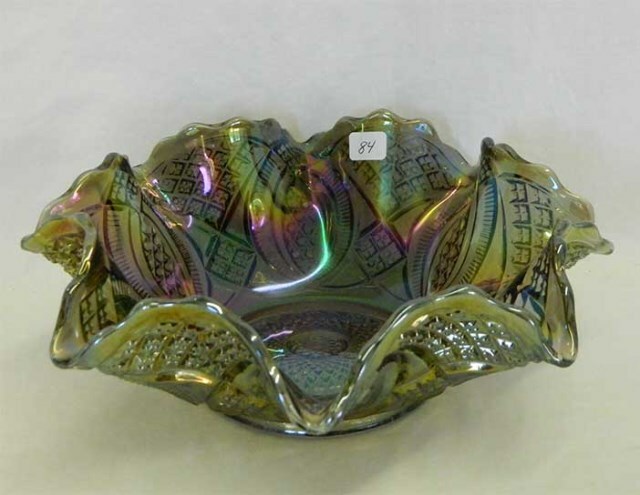 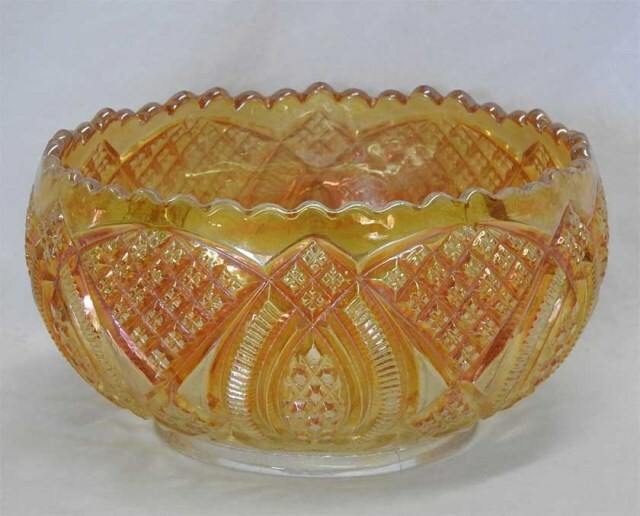 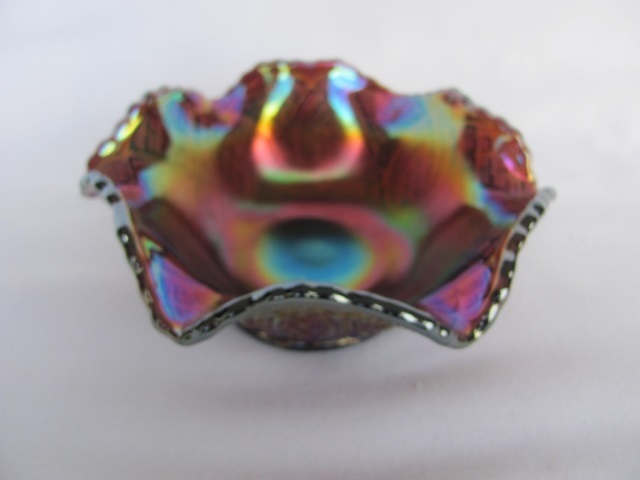 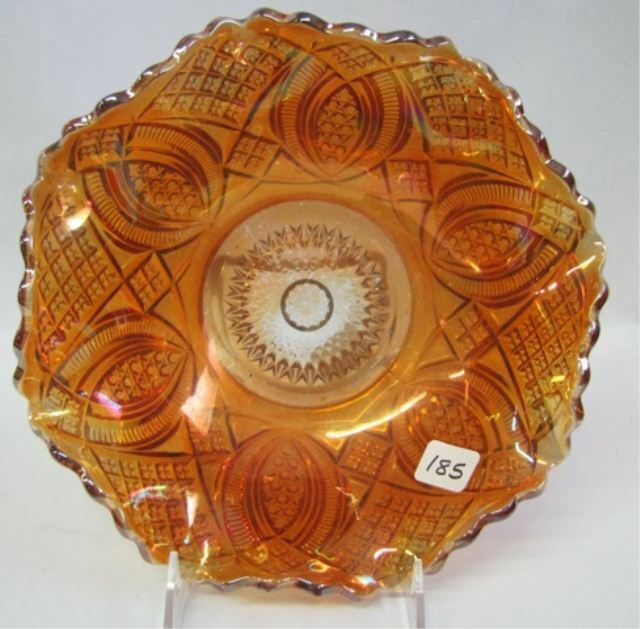 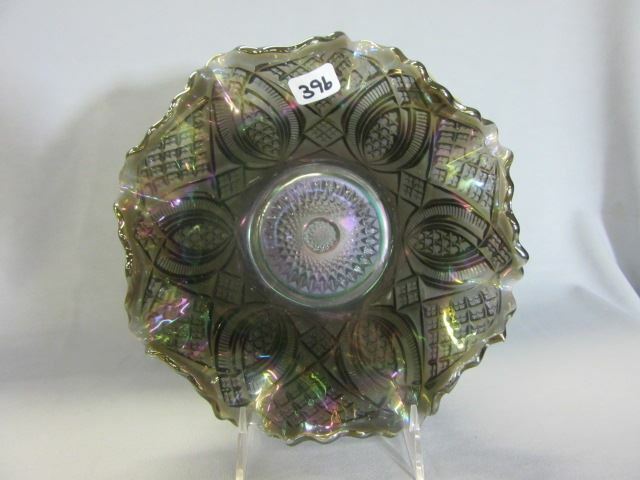 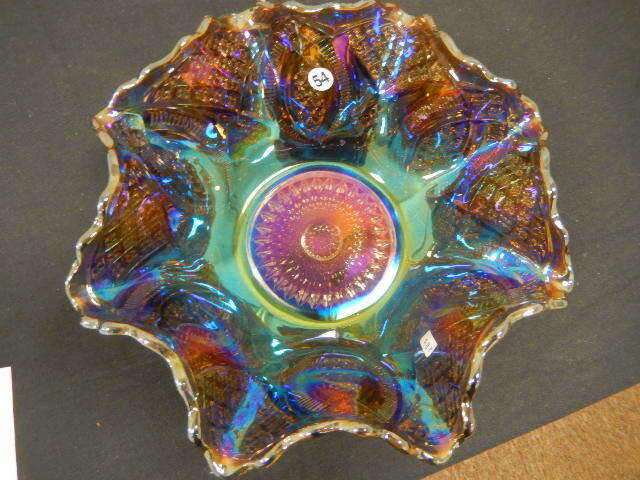 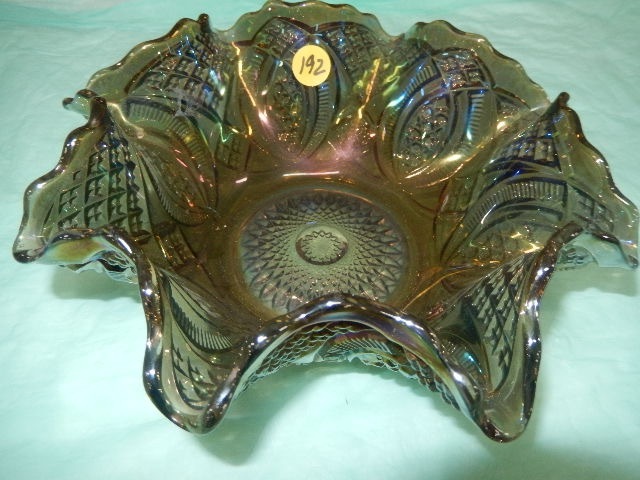 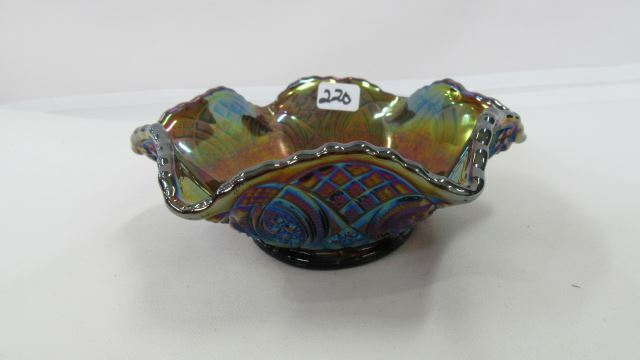 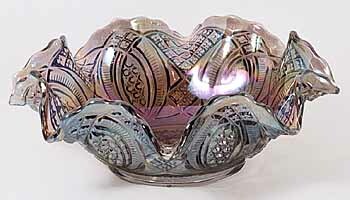 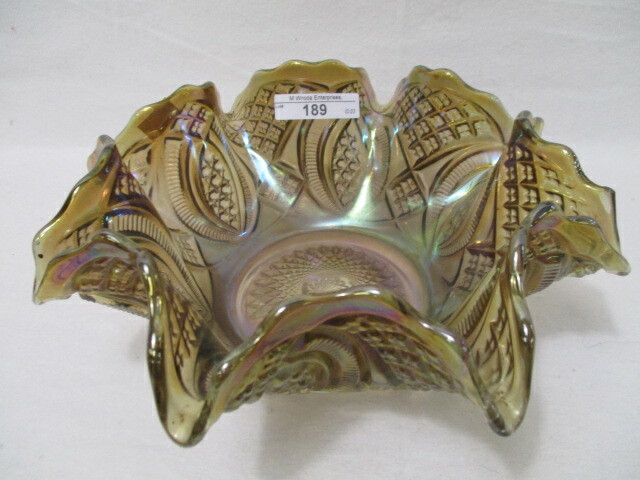 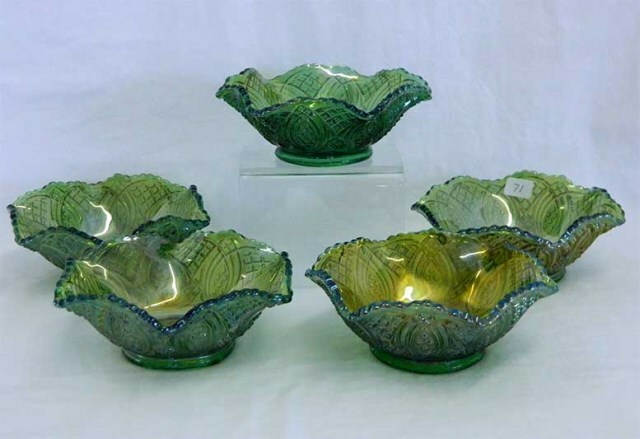 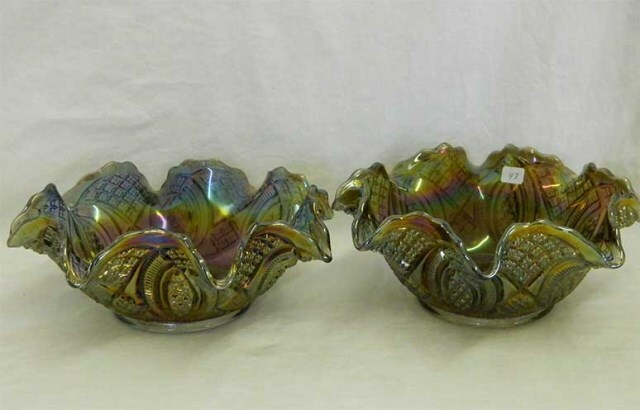 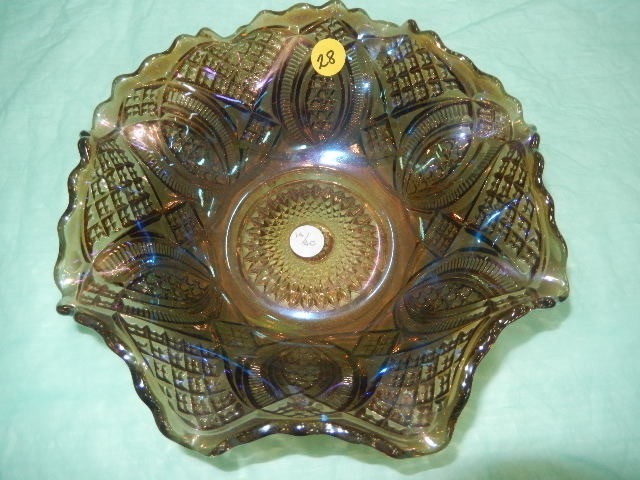 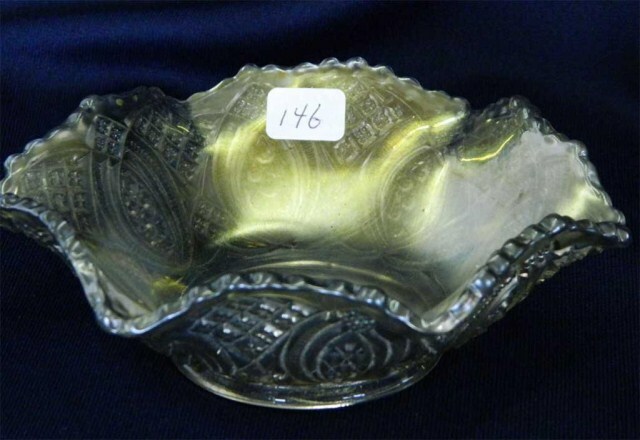 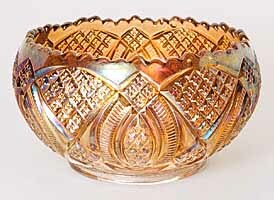 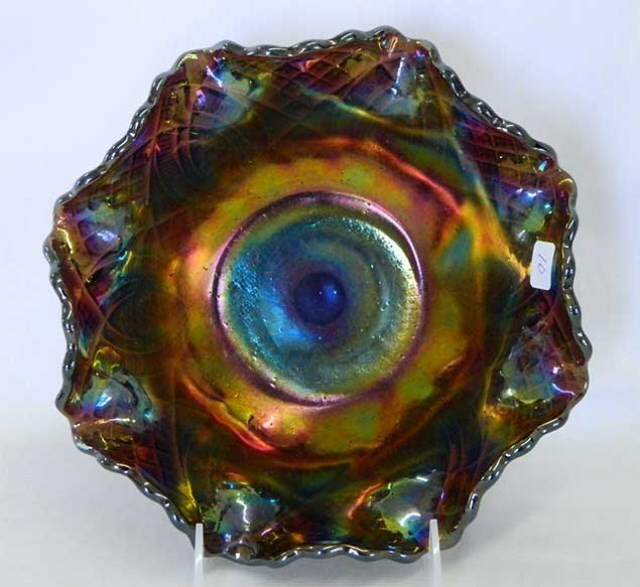 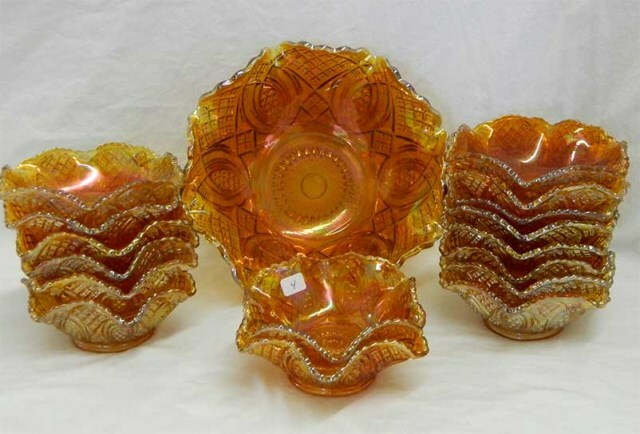 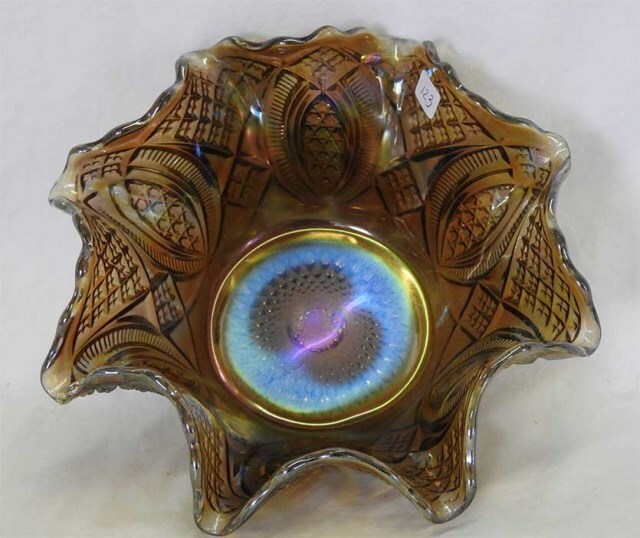 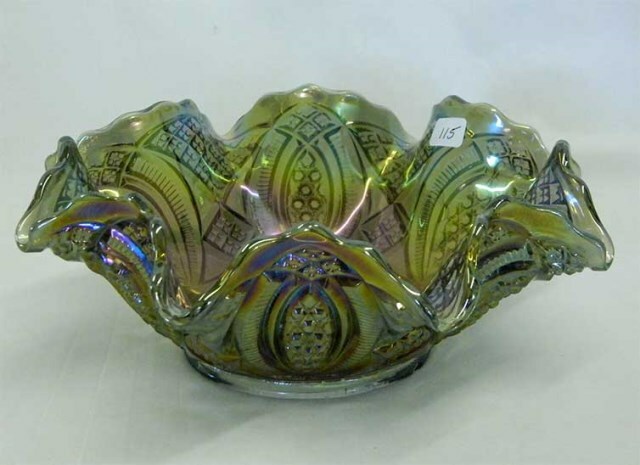 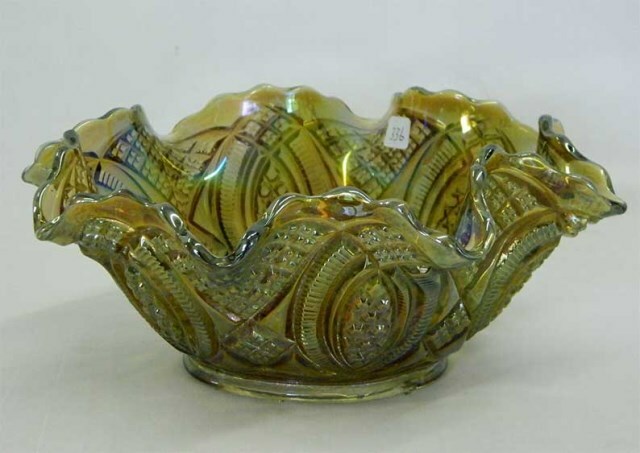 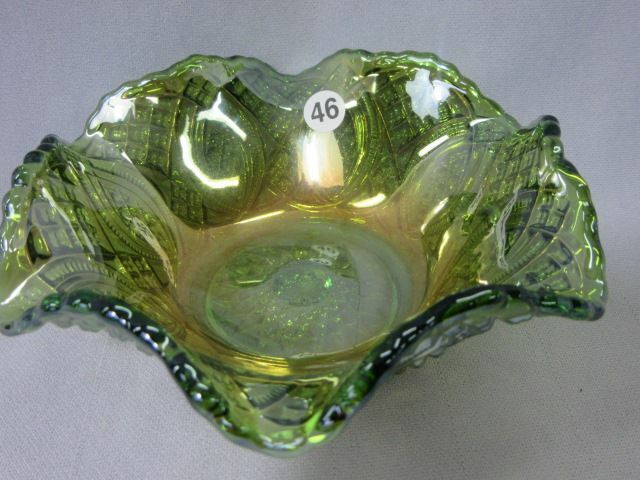 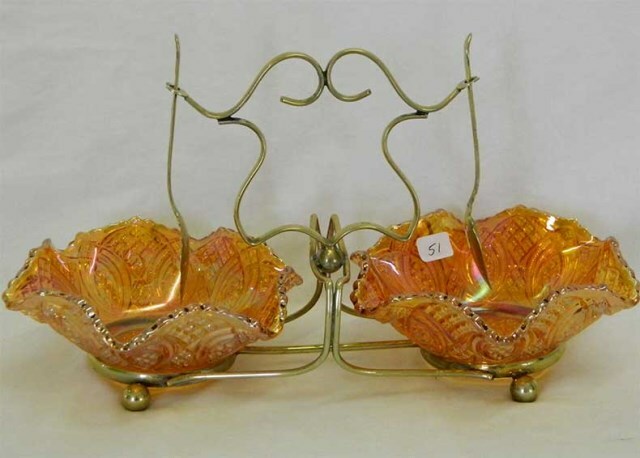 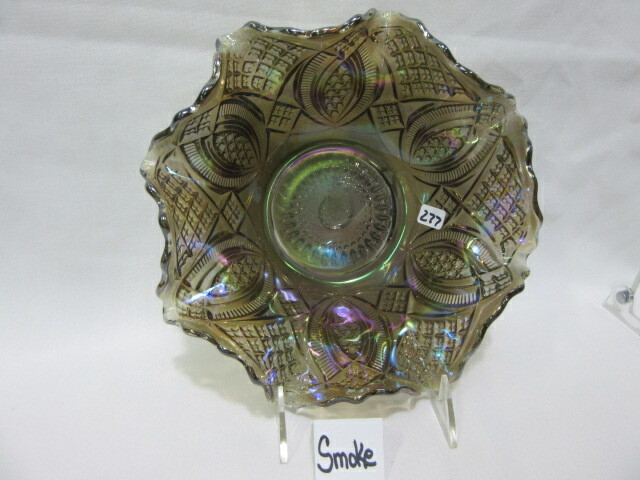 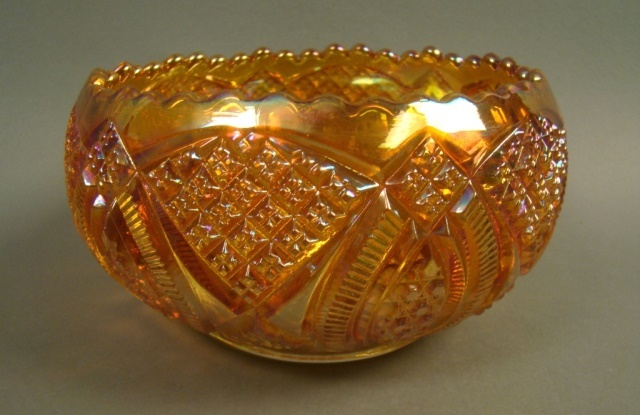 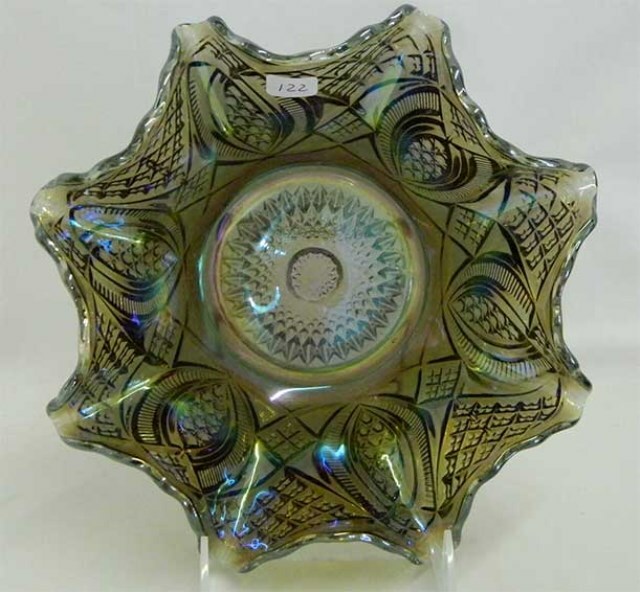 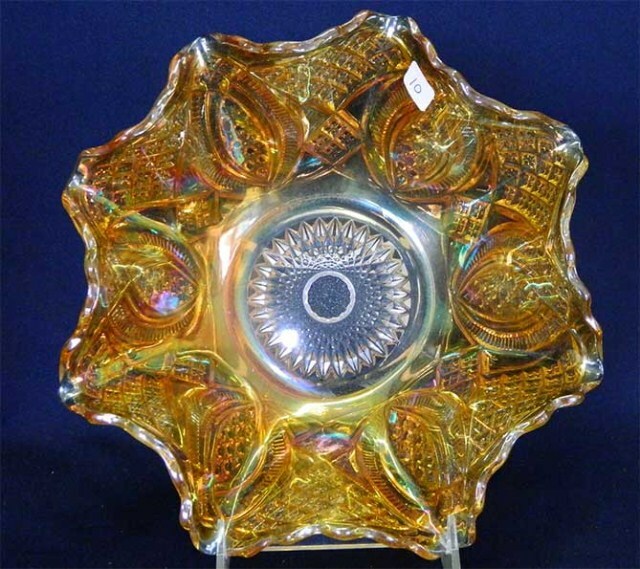 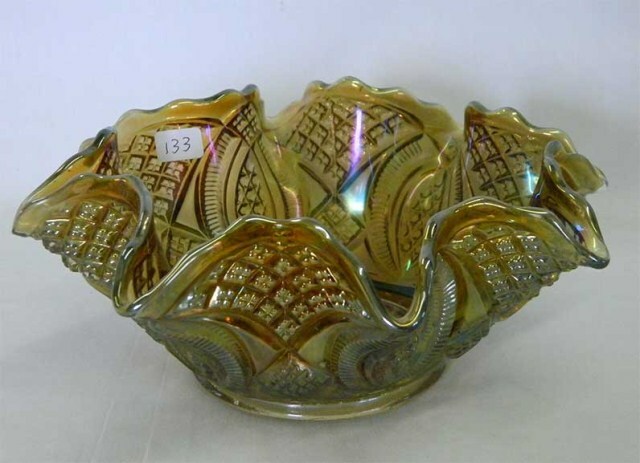 The pattern is found only in the rosebowl shape and 9-10 inch bowls from which the rosebowls were made. 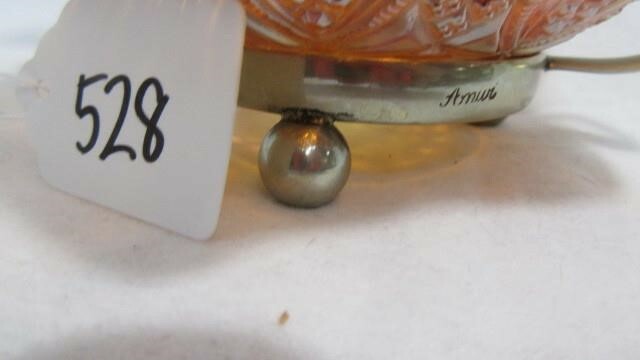 Sauces are rather scarce.